SRX10 installed on the edge of Metro networks is the root for a lot of applications in the access and First Mile area. 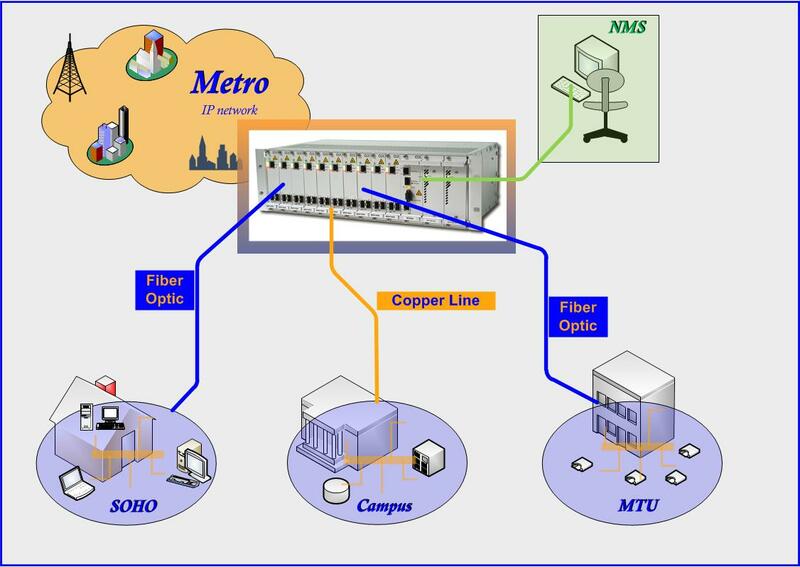 Either copper or fiber optic installation can be served from the Central office or cabinet. Full management capability for installed and remote connected line-cards offers the operator easy access and supervisory for the installed infra-structure. The SRX10 offers a simple and flexible solution to build high density systems in a 19’’- or ETSI-rack. All arcutronix 3RU line-cards can be housed in the SRX10, offering 10 slots in a chassis of 3RU in height. Each SRX10 has in addition 2 slots for power supply to achieve carrier-class power redundancy. Both AC and DC power supplies are available. The System-control card (SCX), which is placed in a reserved slot, offers easy access to the system and provides management access from local or remote stations. The integrated SNMP-agent and Web-IF-server allow OAM with standard tools. Adjustable side frames on SRX10 offering different installation depths according to conditions inside customer locations.The universal system rack provides a smart solution to get convenient options and possibilities for the users. Due to its unique technical advantages and the high level of flexibility the SRX10 achieves optimum performance as well as maximum protection for user’s applications. The SRX10 is designed for Central office and cabinet applications. The integrated alarm connectors and fan-unit opens the opportunity to monitor the system and the operator is quick informed in case of any failure. System controller card for SNMP agent and Web-GUI. Local and remote management access via VT100 or telnet connection.